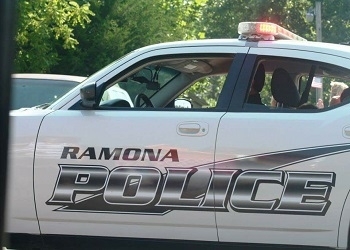 Ramona police have identified two people suspected of trying to burglarize a convenience store in Ramona. The department posted on its Facebook account that video shows the two trying to break into the Mini Mart by shooting a pellet gun at the front window. After failing to break into the store using the pellet gun, the video shows them throwing rocks at the front door. Police say they identified the pair and charges are pending.